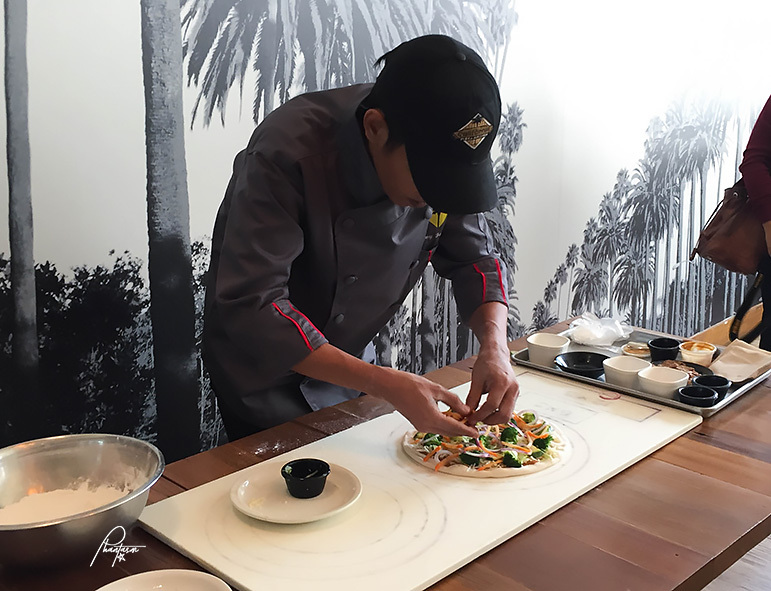 The battle to woo our taste buds rages on: the CPK Pizza Wars Legacy continues to evolve on its 3rd-year run. This is one of my favorite events as a foodie, the Pizza Wars. 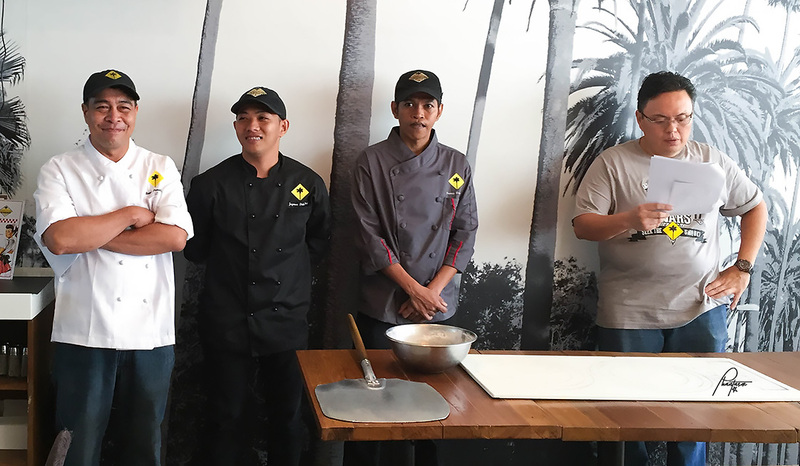 Staying true to its roots of California creativity, California Pizza Kitchen (CPK) reaffirms its legacy and brand promise of a culinary adventure with the 3rd run of CPK Pizza Wars, its annual in-house Pizza Chef competition. 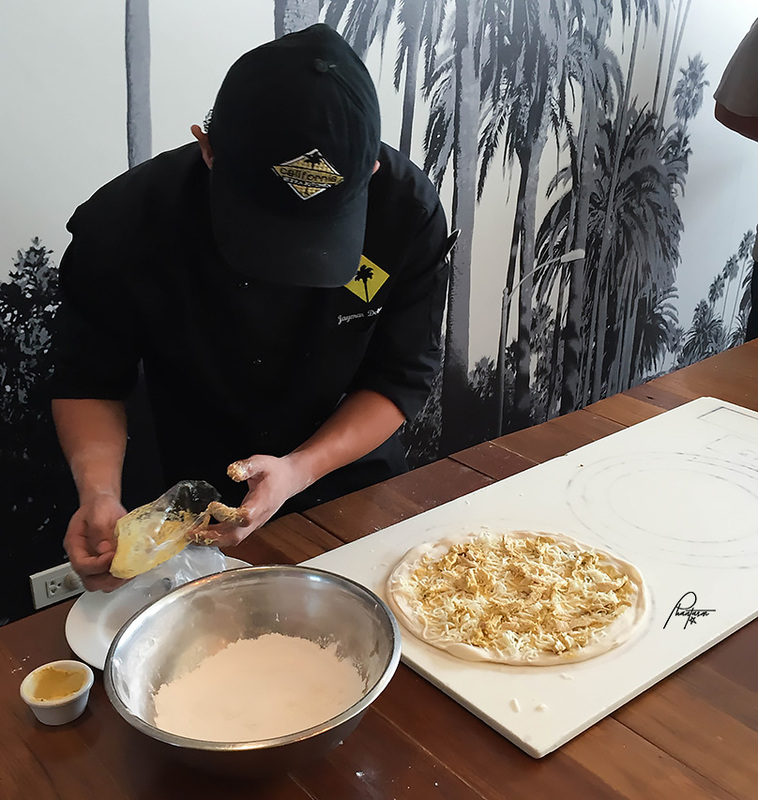 "California Pizza Kitchen has distinguished itself as a pizza authority attributable to its wide selection of innovative and artisanal pizzas. 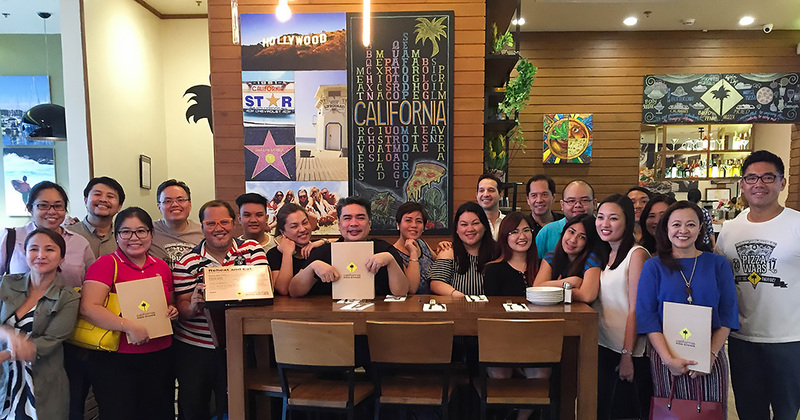 But more importantly, the secret behind the success of CPK is here, of course, the people behind it. Which is why, apart from showcasing the talents of our pizza chefs who are equally passionate about food as we are, we wanted to challenge them to take their culinary skill set to new heights. 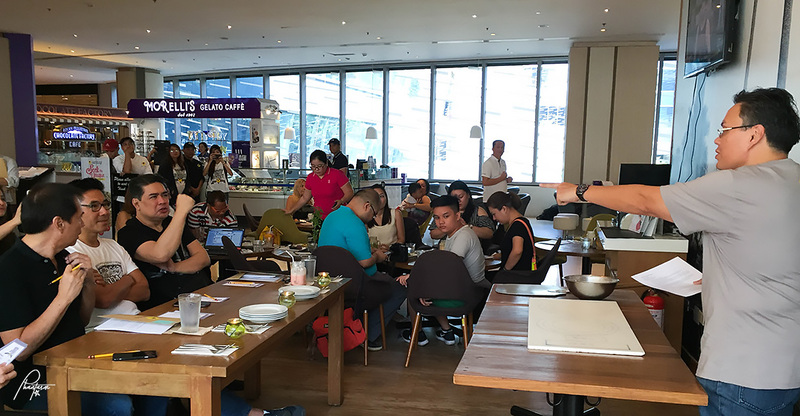 And sure enough, they have proven up to that challenge," said Bob Vallar, Marketing Manager of Global Restaurant Concepts, Inc. (GRCI). The competition went through several rounds of heated competition, beginning with in-store elimination rounds. 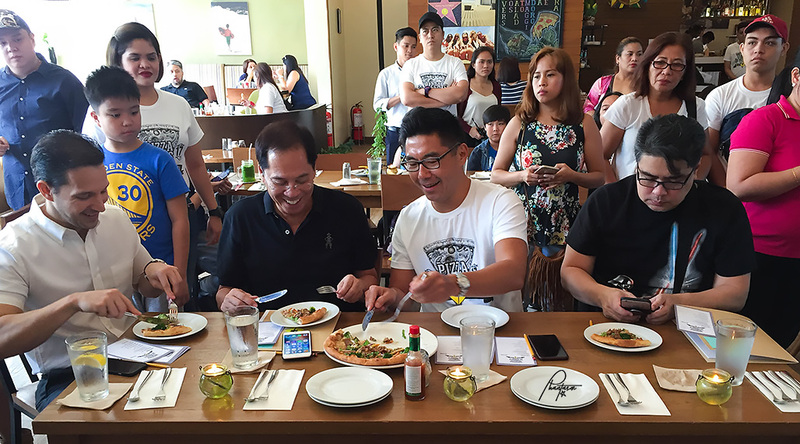 Each branch set their own pizza champions to the semifinals, to compete with each other for the approval of judges Robert Vallar, Marketing Manager of GRCI, Chef Aldrin Ortille, GRCI Executive Chef, and KJ Calsarin, GRCI Training Manager. Of the semi-finalists, only three chefs were chosen to compete in the final round of the competition. 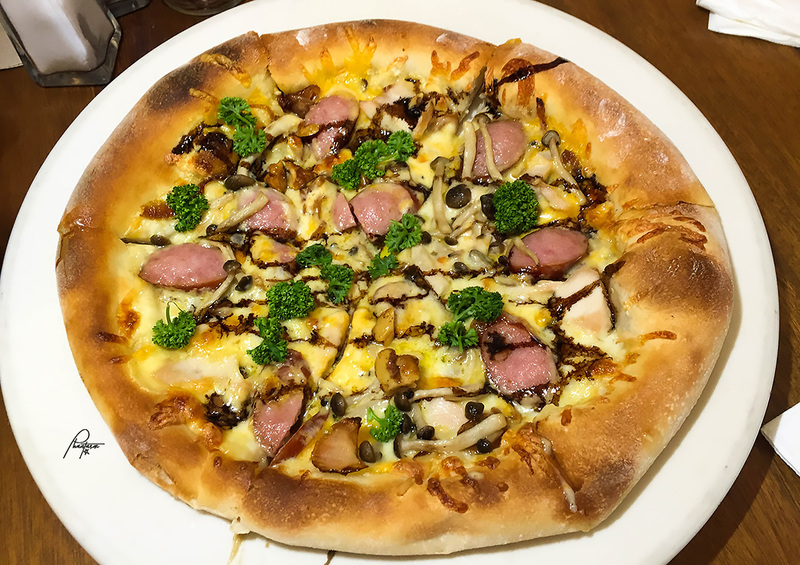 First up is Chef Danny Fernandez of CPK Greenbelt 5 with his original Thai Beef Pizza. 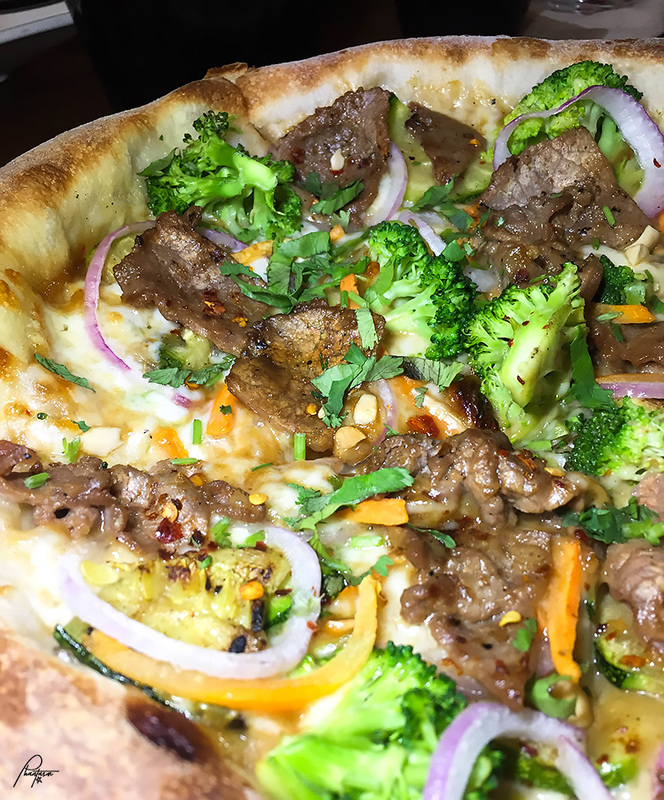 Thai Beef Pizza. Nice texture with some spice. There's crunchiness coming from the carrots and peanuts. Tasty. 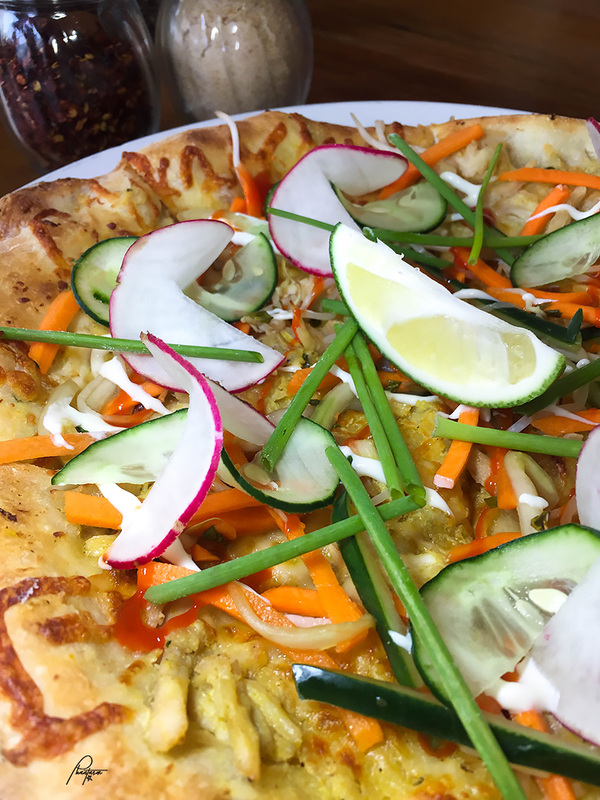 Next is Chef Jay Mar dela Paz of CPK Promenade Greenhills with his colorful Chicken Banh Mi Pizza. 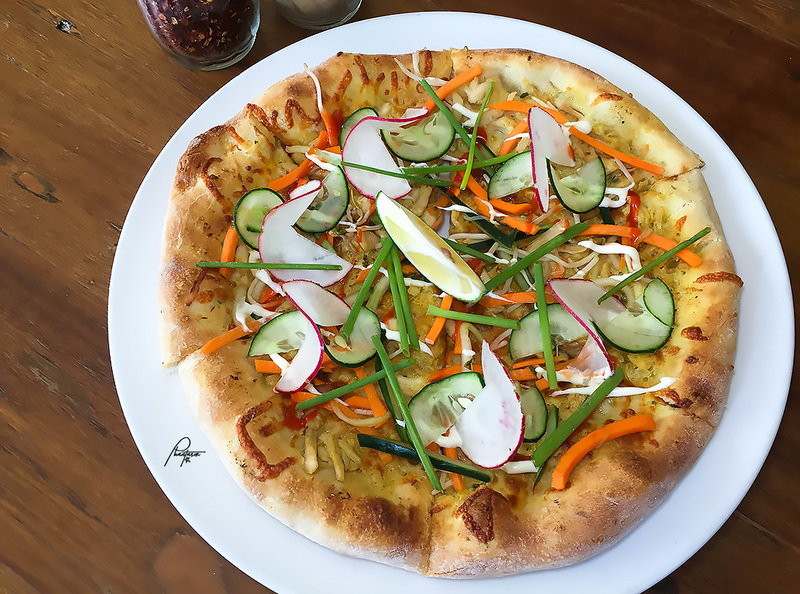 Chicken Banh Mi Pizza. 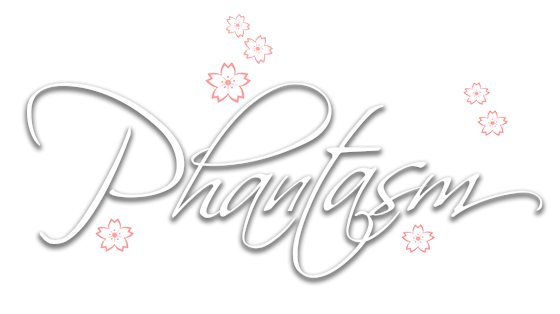 The appearance looks enticing. Colorful. A healthy option with mild spice. There's also crunchiness coming from the fresh vegetables. Garlic Cream Cheese Pizza. It tastes like carbonara pasta. 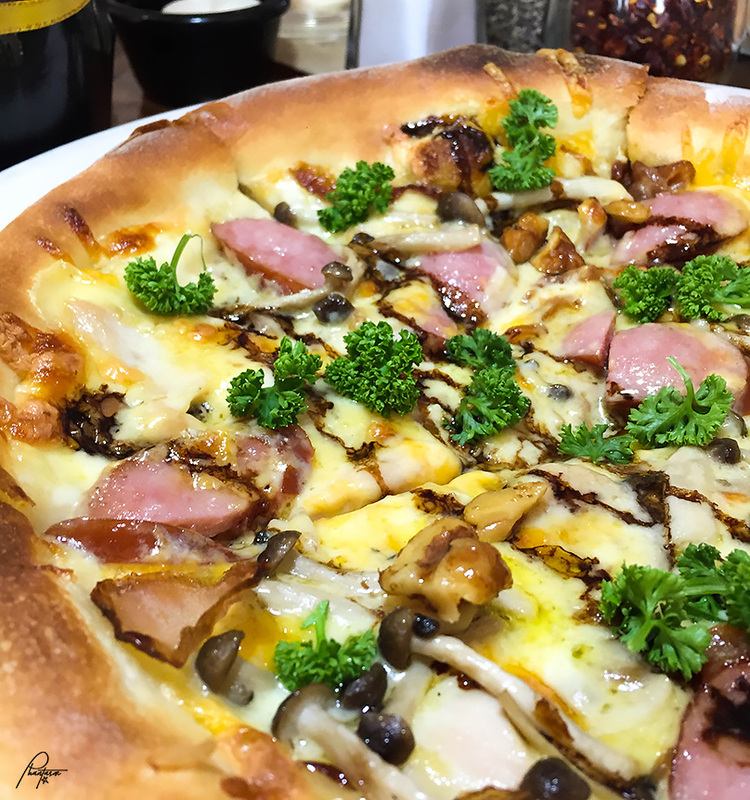 Meaty and cheesy with some sweetness. There's mozzarella, fontina, and cheddar cheese. Topped with some glazed walnuts. Finally, the winners! 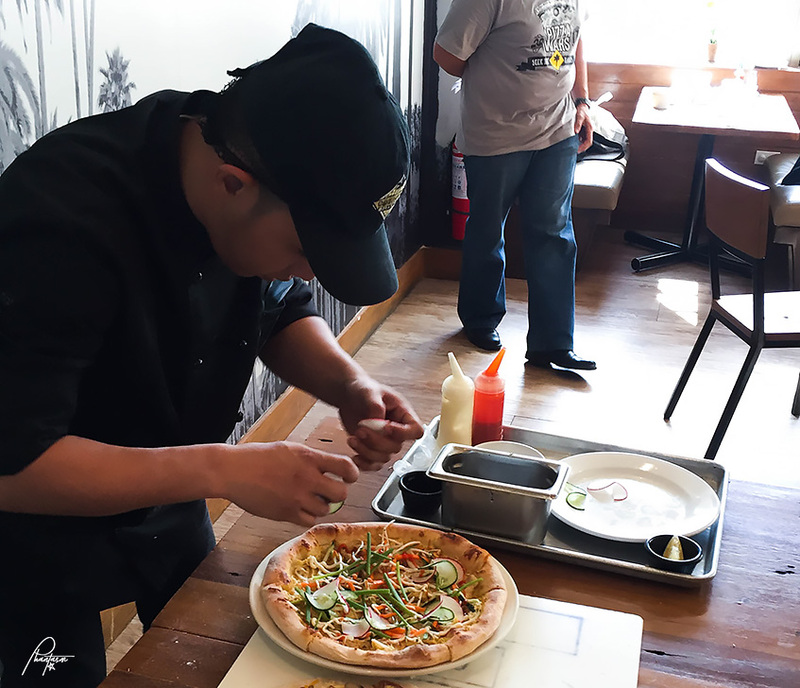 Chef Jay Mar dela Paz won third place for his Chicken Banh Mi Pizza. Running for second place was Chef Danny Fernandez with his Thai Beef Pizza. And two-time champion, Chef Rommel Panaligan wins again for this year's Pizza Wars with his Garlic Cream Cheese Pizza. 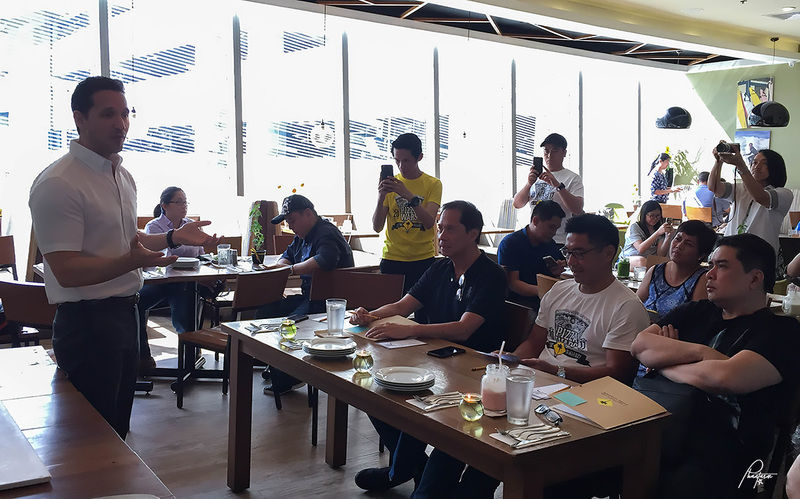 The Pizza Wars winners will receive a Php 25000 cash prize. 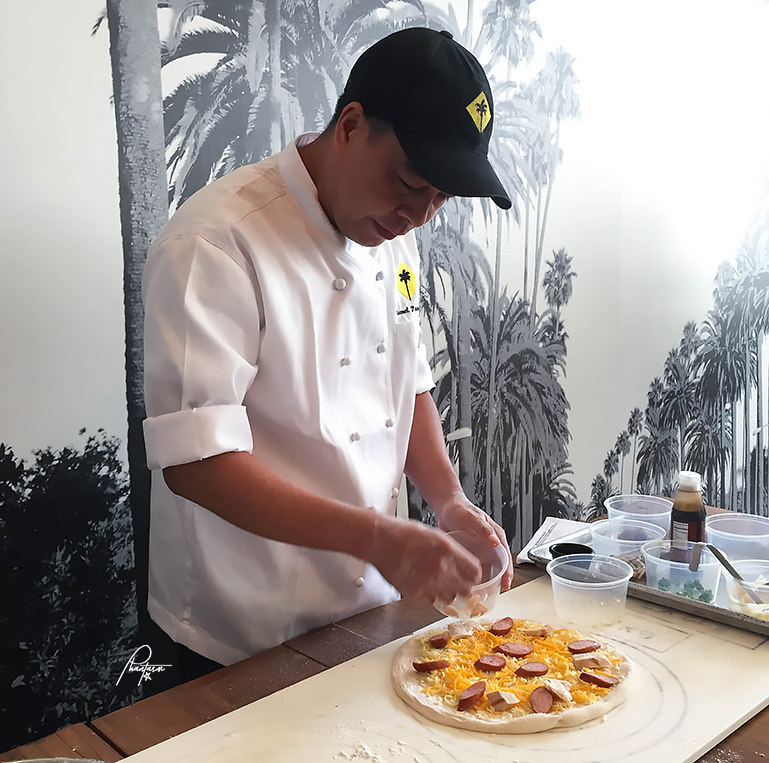 Aside from this, the winning pizza will be featured in August 2017 as part of California Pizza Kitchen's annual celebration of National Pizza Day. 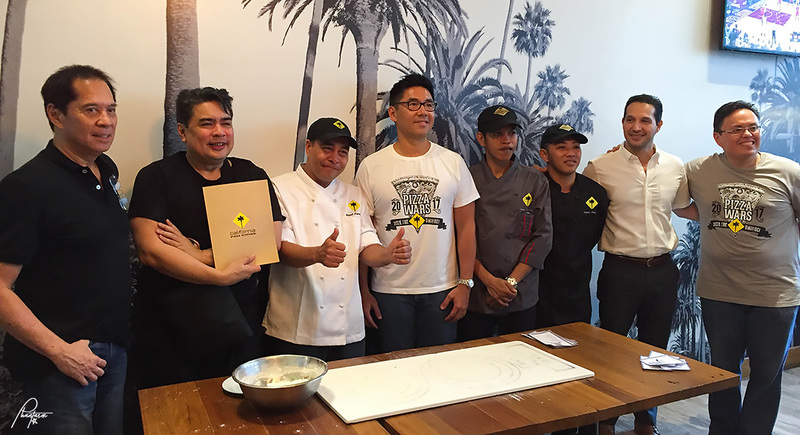 It will also be included in CPK Philippines' new menu which will be launched by next year. 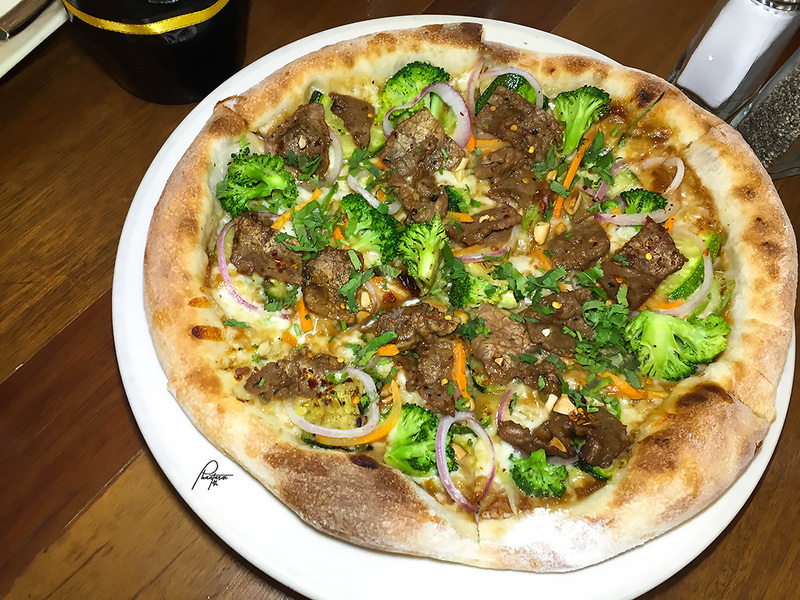 (See: CPK National Pizza Day 2016). Mandatory class picture with The Kain Tulog Gang (KTG) after the event. Thank you, CPK!